For almost a year now I’ve been working at a beautiful little nature park, and by little I mean it’s 456 acres of beautiful forest, walking trails, and wetlands smack dab in the middle of a city. I’m a park ranger aide, which means I assist the actual park ranger’s with any jobs they need done and I help maintain the park. I get to see all kinds of amazing wildlife and my office is literally nature. Yeah, it’s pretty great. ticed all these tiny creatures hopping in front of my John Deere Gator! Toads! Everywhere! 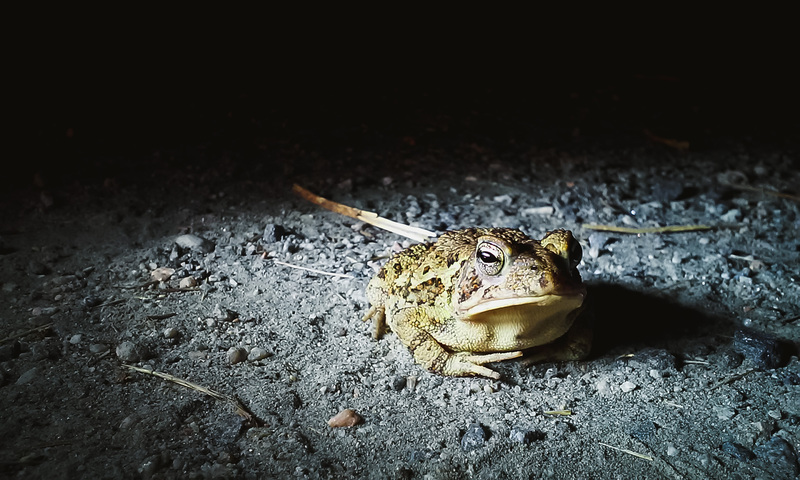 They would hop out from the tall grass and sit squarely in front of my tires, stunned by my headlights, almost daring me to run them over. 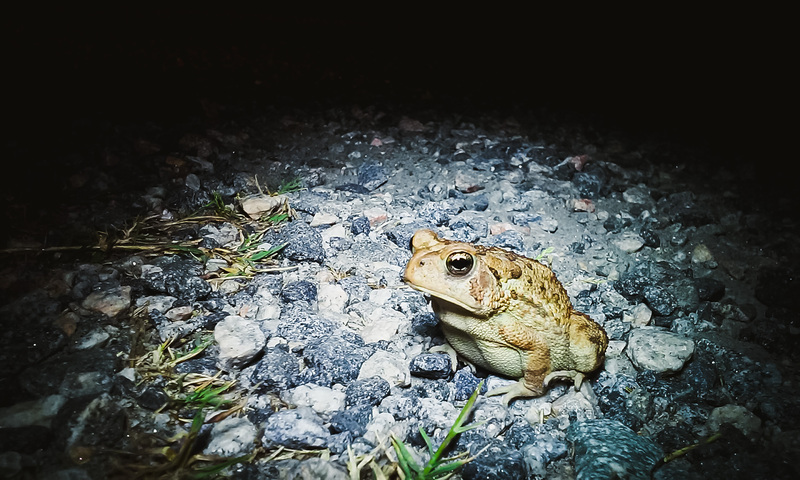 Well, I didn’t run them over….instead I photographed them and then gave them a tiny little poke on the back to urge them to hop away. 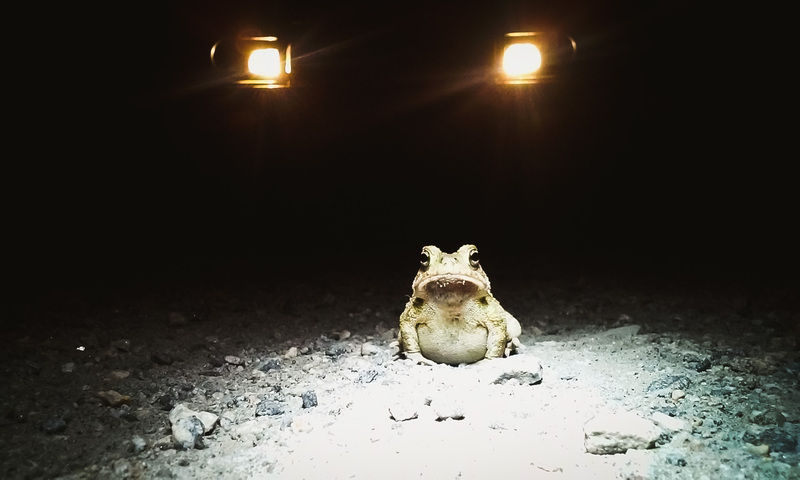 Each toad got his own unique impromptu lighting set up, which came in the form of a big LED flashlight, and each photograph was lovingly taken with my cell phone’s 5mp camera. My favorite part about this whole experience was getting so close to such a quick high-jumping creature. Every little amphibian I met had his own personality. 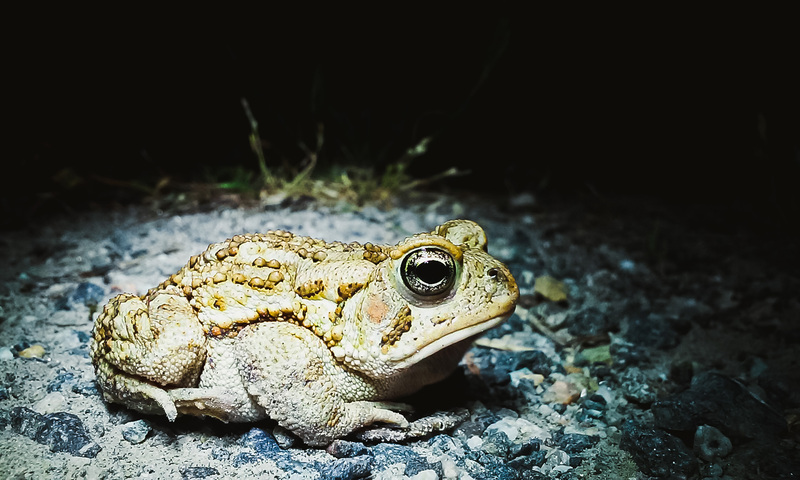 Some toads stared at me inquisitively while others sat wide-eyed and stock still, wondering if I was going to make him dinner. 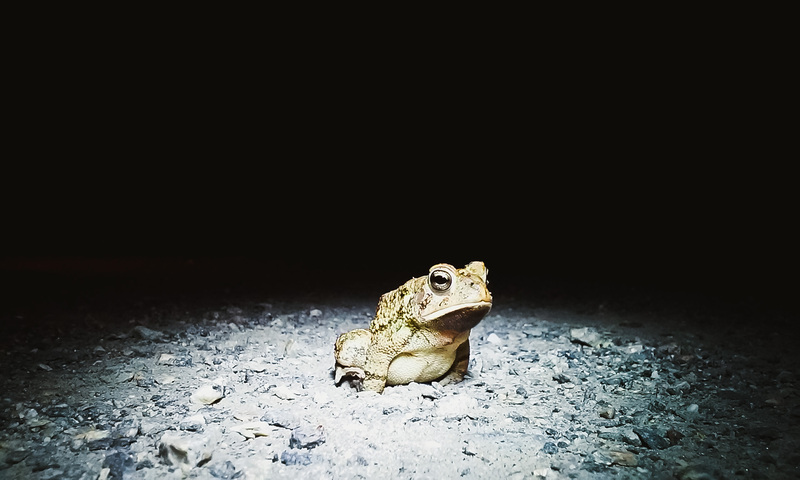 Some toads took a gentle prod to get them hopping away while others allowed me only one photo and they were gone in a flash. 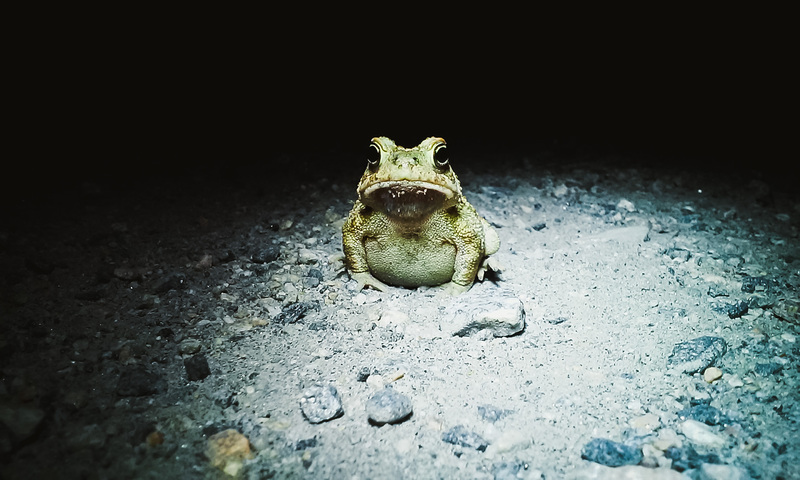 I’m proud to report that no frogs or toads were harmed in the making of this photo series. 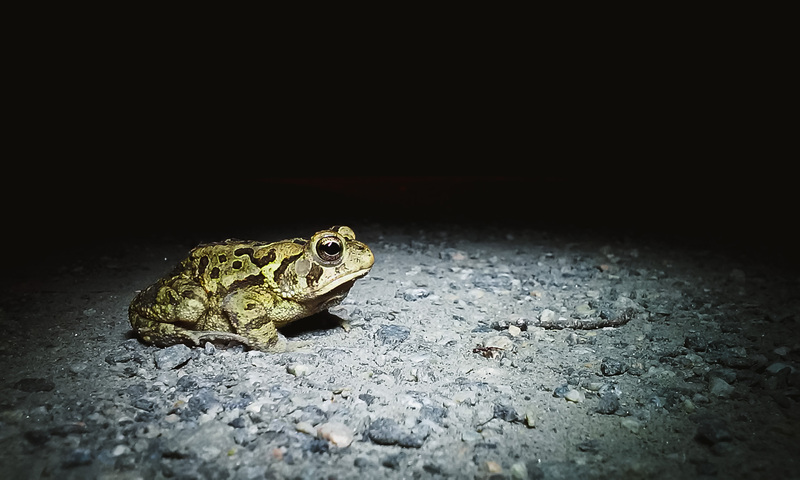 Not one single amphibian was squished by my tires!